With this book you will read and read again. 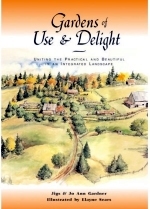 What better compliment can a book and its author receive? The emphasis here is on pizzazz for the garden. 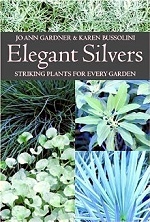 But, it is not fussy plants with difficult requirements that Ms. Gardner is suggesting, rather the uncomplicated perfection of blooming herbs. What could be easier than herbs? Plants that are disregarded as weeds by the unknowing, but prized by those who value their tenacious and giving nature. 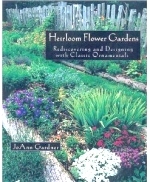 And, since Ms. Gardner gardens in Nova Scotia, a zone 4 climate, she is very familiar with the word difficult. Indeed one of the aspects of this book that makes it valuable is her familiarity with colder zones. Another plus is that she is truly a gardener. How do we know? Because only a gardener would describe Catmint as smelling like Cinnamon. This book is full of personal revelations that come only from experience. Experience that we can benefit from by reading this book. 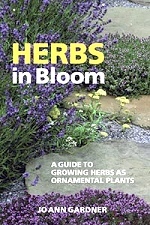 Eighty herbs are profiled for their value in beautifying the landscape or garden. There are many photos of her selections, including photos of more unusual herbs like Dittany. Also, while discussing Oregano, for example, she mentions numerous kinds, which brings the number of herbs discussed to around 700. 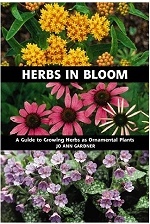 Herbs in Bloom: a simply perfect idea.